GUYS. Halloween is 2 weeks away! Did anyone else let that creep up on them?! If you’re anything like me you’ve been putting off coming up with a costume for a while now and are starting to consider cutting two holes in a sheet and calling it a day. Well, have I got some good news for you! I came up with stylish costumes to avoid that very specific scenario AND they even double as an excuse to shop. This way you look good for Halloween and get some new clothes you will continue to wear after. It’s a win-win. You’re welcome. 1. First up we’ve got a classic costume that’s always a winner: Cat woman! You’ll be fierce in this all black ensemble, and that leather crop top is perfect for weekends to come! Simply add a tail, ears and some killer shoes and you’re all set. Meow. 2. Okay so here’s another classic that’s a bit different. 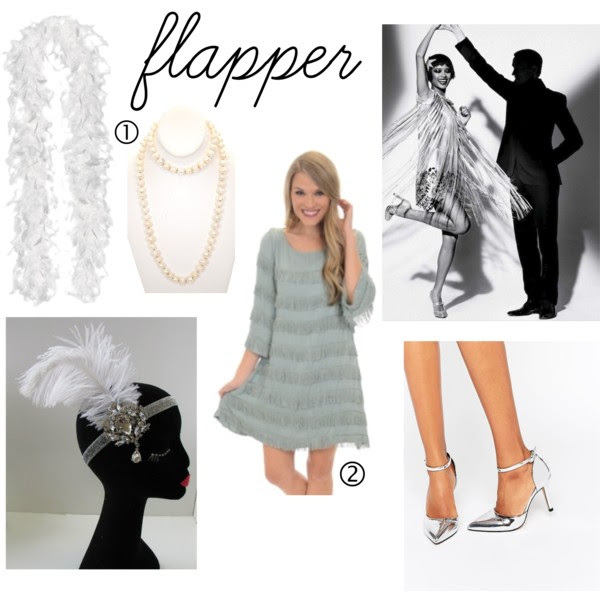 As a forever Breakfast at Tiffany’s fan, I believe you can never go wrong dressed as the iconic Holly Golightly! Go glam in her signature black ensemble or rock a more casual look with those adorable pigtails. 3. If you’re craving a look more current but just as glam, gather all the pink, pearls and fur in sight to channel the one and only Chanel Oberlin from “Scream Queens”. This can easily become a group costume if you just gather a couple of friends to be Chanel #2 and #3. Scream away. 5. Okay this one is genius. 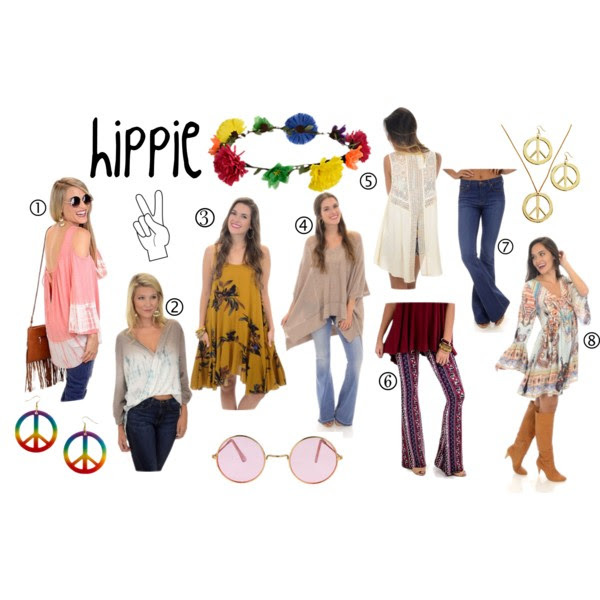 With bell-sleeves and cold shoulders being so hot this fall, a hippie costume is the perfect excuse to make those trendy purchases! Simply add peace sign jewels, rose colored glasses and a flower crown for Halloween and then wear your new purchases all season long! *additional accessories in this post were found at Asos, Forever21, Party City and Etsy.